Valentine’s Day is the holiday for lovers –with images of hearts, friendship, roses, and chocolates floating around cities everywhere and well into the night. This day, however, was like a scene from the stories of Armageddon for the Lebanese people in 2005. On this date, the former Prime Minister Rafiq Hariri, along with 22 others (including civilians), were killed when approximately 1,800 kilograms of TNT detonated inside a parked Mitsubishi van as Hariri’s convoy passed by in the streets of Beirut, Lebanon. The blast was so powerful that it left a crater at least 10-meters wide and two meters deep on the street. The assassination left the country completely devastated and immediately fired up tensions with neighboring Syria. Hariri was dubbed by some as “Mr. Lebanon,” an oil and gas magnate that was seen as a progressive, Western voice for Lebanon. He was bitterly despised by Bashar al-Assad, Syria’s current president, which led many to believe that Assad was behind the fatal attack. Initial state investigations into who had masterminded this attack were unproductive. The United Nations responded by establishing an independent investigatory body, which eventually led to the creation of the Special Tribunal for Lebanon (STL). Lebanon prompted the eventual creation of the Tribunal by requesting that the Security Council create a court of “international character” to investigate the death of its former Prime Minister and prosecute the suspected perpetrators. As a result of that request, on March 29, 2006, the Security Council mandated the Secretary-General to conduct negotiations with the Government of Lebanon to establish such a tribunal (Resolution 1664). The negotiations fell through, primarily due to disagreement within the new Lebanese parliament about funding and supporting such a Tribunal. 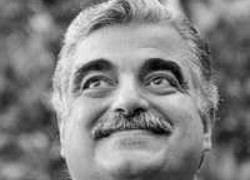 Not only did Saad al-Hariri, Rafiq Hariri’s son, lose support due to Hezbollah’s growing majority within the government, but the disagreement eventually turned into Lebanon’s prolonged Cedar Revolution. The Security Council responded with Resolution 1757, creating instead a Chapter VII court in lieu of a voluntary tribunal as originally requested by the government of Lebanon. Voluntary contributions make up 51 per cent of its funding and 49 per cent comes from Lebanon. The Tribunal cases relate to the assassination of Rafiq Hariri and others on February 14, 2005. The Prosecutor submitted an indictment to the pre-trial judge on January 17, 2011. This indictment was confirmed on 28 June 2011. Four Hezbollah officials were named in the indictment: Salim Jamil Ayyash, Mustafa Amine Badreddine, Hussein Hassan Oneissi, and Assad Hassan Sabra. The STL is indeed very special, for three reasons. First, the Tribunal will be addressing a new type of crime within international criminal law: terrorism. Second, it is the first international court to try the Accused in absentia on these terrorism charges. Third, it is prosecuting terrorism charges by way of the Lebanese Criminal Code (which gives the Tribunal a bit of a “hybrid” legal flair). Much like the Special Court for Sierra Leone (SCSL), the Tribunal is located outside of the country of conflict, mostly due to security concerns. It will be trying the case Prosecutor v. Ayyash et al. at the International Criminal Court (ICC), in The Hague, Netherlands, and in the same courtroom that was used for the trial of Charles Taylor at the SCSL. It is highly unlikely that any of Accused will be present during their trial, which is scheduled to begin on March 25, 2013. Maha Kamal is a staff editor with the Denver Journal of International Law and Policy. She received her BA in International Affairs (specialization in European politics) from the University of Colorado at Boulder in 2007. Maha has previously worked with numerous internationally-focused organizations, including World Denver and the Institute of International Education. She is currently enrolled in a practicum at DU Law which is working to create and finalize an evidentiary database for the Charles Taylor case at the International Criminal Court. *Fascinated by this subject? We encourage you to take (or audit) a course on International Criminal Law. The University of Denver Sturm College of Law offers this course with Professor David Akerson, typically in the Fall.